The Trento Malè-Marilleva 900 Electric Railway links Ossana to the Trento rail stations (71 km away), which lie on the international line that runs from Munich to Rome. In Trento the station of the Trento-Malè-Marilleva 900 Electric Railway line is about 150 m from the Ferrovie dello Stato station. The closest stations to us are Trento or Mezzocorona. In Mezzocorona the station of the Trento-Malè-Marilleva 900 Electric Railway line is about 100 m from the Ferrovie dello Stato station. The nearest international airports to Val di Sole are: VERONA (Valerio Catullo – 165 km); MILAN (Linate – 190 km); MILAN (Malpensa - 230 km); VENICE (Marco Polo – 286 km). Ossana is 65 km from the A22 Brennero motorway. Leave the motorway at Trento Nord and take the new ring-road for Val di Non and then the Strada Statale 42 del Tonale. Follow signs for Passo del Tonale until Ossana. For those coming from the North-West (Milan - Turin) you can quickly reach Ossana via the Passo del Tonale. In this case take the A4 Milan-Venice motorway and exit at Seriate and follow directions for Passo Tonale. Drive past Passo Tonale and drive down to Val di Sole to Ossana. For those coming from Brescia, you can reach Ossana by following the road through Tione di Trento, Madonna di Campiglio, Folgarida, Dimaro and then go up towards Passo Tonale until Ossana. From Merano, cross the Passo delle Palade (85 km). 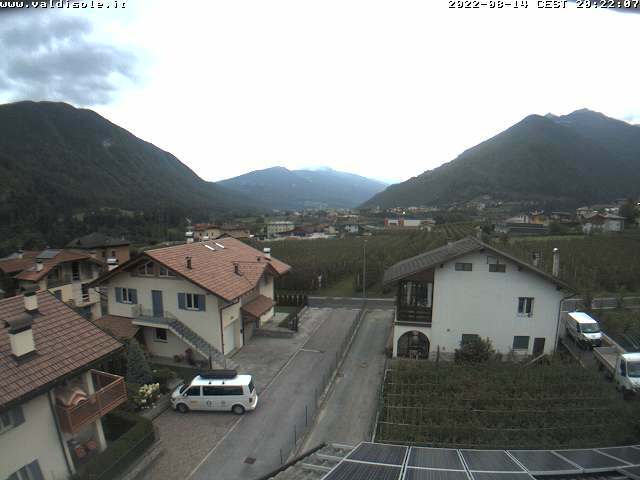 From Bolzano, go through the Passo della Mendola (98 km).